THE ANGELIC SALUTATION is so heavenly and so beyond us in its depth of meaning that Blessed Alan de la Roche held that no mere creature could ever possibly understand it, and that only Our Lord and Savior Jesus Christ Who was born of the Blessed Virgin Mary can really explain it. 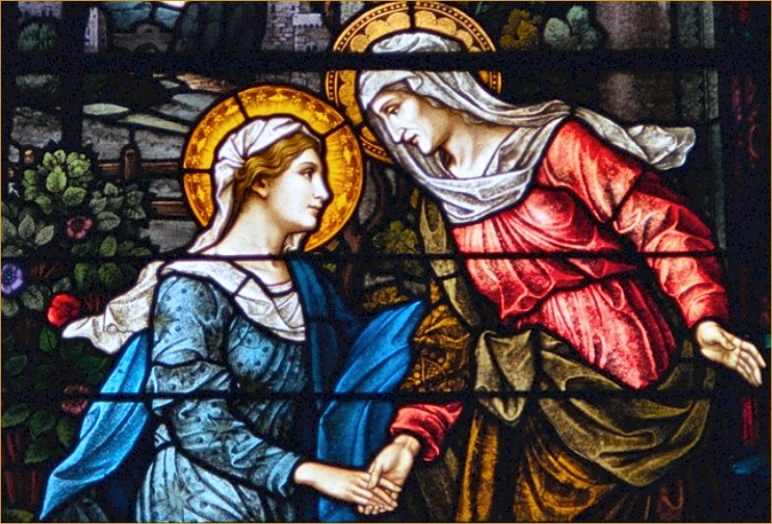 Its enormous value is due first of all to Our Lady to whom it was addressed, to the purpose of the Incarnation of the Word for which reason this prayer was brought from Heaven, and also to the Archangel Gabriel who was the first ever to say it. The Angelic Salutation is a most concise summary of all that Catholic theology teaches about the Blessed Virgin. It is divided into two parts, that of praise and petition: the first shows all that goes to make up Mary's greatness and the second all that we need to ask her for and all that we may expect to receive through her goodness. "Holy Mary, Mother of God, pray for us sinners, now, and at the hour of our death." The greatest event in the whole history of the world was the Incarnation of the Eternal Word by Whom the world was redeemed and peace was restored between God and men. Our Lady was chosen as His instrument for this tremendous event and it was put into effect when she was greeted with the Angelic Salutation. The Archangel Gabriel, one of the leading princes of the heavenly court, was chosen as ambassador to bear these glad tidings. In the Angelic Salutation can be seen the faith and hope of the patriarchs, the prophets and the Apostles. Furthermore it gives to Martyrs their unswerving constancy and strength, it is the wisdom of the doctors of the Church, the perseverance of holy confessors and the life of all religious. (Blessed Alan de la Roche) It is also the new hymn of the law of grace, the joy of Angels and men, and the hymn which terrifies devils and puts them to shame. By the Angelic Salutation God became man, a virgin became the Mother of God, the souls of the just were delivered from Limbo, the empty thrones in Heaven filled. In addition sin was forgiven, grace was given to us, sick people were made well, the dead were brought back to life, exiles were brought home, and the anger of the Most Blessed Trinity was appeased and men obtained eternal life.